1. 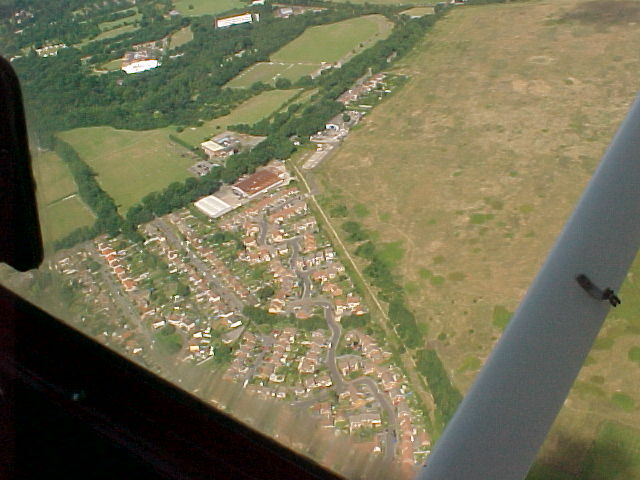 = Hamble (North) Airfield. 2. = Site of British Marine Aircraft, later Folland, then Hawker Siddeley, then British Aerospace, now Smiths Aerospace. 3. 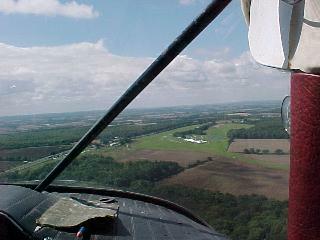 = Hamble South airfield. 4. = Armstrong Whitworth Factory. 5. = No.1 (Southern) Marine Acceptance Depot. 6. = Approximate location of "Browns" aerodrome. 7. = Fairey Aviation, approximate location. Aviation sites are shown by the numbered discs, white numeral on a blue background. Principal roads are shown in red (A-roads), orange (B-roads) and brown (other roads). The black line at top is part of the railway branch line that runs from St. Denys (Southampton) to Fareham. Hamble and Netley railway stations are indicated by red discs. For the sake of posterity the siding/goods line from Hamble Station to the British Petroleum Storage Depot is shown as well. The goods line is partly intact (though heavily overgrown) and has not been used several years. It now seems doubtful that it will ever be used again in the future since the points that permitted trains to get onto and off the St.Denys/Fareham branch line have been removed. It may be interesting to note that when the railway line was built in the first few years of the 20th century the line from St. Denys originally terminated at Netley. But a goods line was provided to what was then an new Admiralty depot on the site of the BP storage depot. Later, the branch line was extended to Fareham, doubled (it was originally single track) but the Admiralty line was retained. Those familiar with Hamble aerodrome might remember that the airfield had the oddity of a railway level crossing bisecting a taxiway! 1. Hamble (North) Aerodrome: The green area shows the approximate extent of the airfield perimeter and the light green strip the approximate alignment of the main runway used. Although there was room to deviate from that alignment there were permanent markings at either end of the strip: '36' (North); '18' (South). Another runway alignment often used was 02/20, at other times in the past other alignments ad hoc. The parking areas and two hangars are shown as well. The training school, administration buildings and student accommodation were primarily sited to the west of the rail siding/goods line where it runs north-south before crossing the main road (Hamble Lane) south of the airfield. The whole area including the hangars, concrete aprons and school have now been covered by new housing and the new roads are all named with some connection to aviation at Hamble. These include: Tutor Close, Astral Gardens, Baron Road, Barton Drive, College Close, Aquila Way, Pegasus Close, Spitfire Way, Cirrus Gardens, Admirals Way and Captain Close. HAMBLE 'EGHM': Lat: 50° 51' 33" North. Long: 01° 19' 36" West. OSGB Grid Reference SU 477077. 80ft AMSL. Ident 'HA'. 4 miles S/E of Southampton. RUNWAYS: Grass (all fields). North - 18/36, 940 x 46 Metres (3084ft x 150ft). Also available - 02/20. In addition the entire manoeuvring area may be used" (Pooleys Guide 1972). LIGHTING: Runway (portable paraffin 'Gooseneck' flares). Threshold (portable VASI). Taxiway (portable red, white lights). 2. Site of British Marine Aircraft, (1935 - Grid ref SU 469072) - later Folland, then Hawker Siddeley, then British Aerospace (BAe), now Smiths Aerospace. This is now the sole surviving site of aviation activity at Hamble. Here, assemblies for Hawk and Harrier jets are made. This site is quite extensive and is accessed by Kings Avenue. 3. Hamble South airfield - (AVRO 1916). This site is now taken up by the area to the north-west and south of Ensign Way. 4. Armstrong Whitworth Factory. This site is now taken up by the area covered by the works in Ensign Way and Mitchell Point. 5. No.1 (southern) Marine Acceptance Depot (1917 - Grid ref SU 478061). The British Petroleum storage depot off Copse Lane marks this site. The rail siding originally served the Admiralty who were based in this area until after World War One. 6. Approximate location of "Browns" aerodrome. So far as I am aware no trace whatsoever remains of the airfield. 7. Luke and Co, then Fairey Aviation (1915) approximate location. This is to the found at Hamble Point at the end of School Lane. At least one of the hangars remains in use for marine works. 1912: The first use of Hamble for aviation purposes was when a "Waterplane" to be used in a promotional tour sponsored by the Daily Mail newspaper, was housed in a shed built for that purpose at Hamble Point. Luke and Co., in partnership with Hamble River Engineering began building the HL-1 seaplane at Hamble Point. The aircraft, exhibited at Olympia in 1914, was never completed. 1913: The Admiralty established "Browns" aerodrome at Hamble Point (exact location uncertain). 1914: The Admiralty requisitioned Luke and Co's premises at Hamble Point. 1915: Luke and Co's premises passed to Fairey Aviation. Fairey's assembled large numbers of seaplanes here over the next 3 decades. After WWII Fairey's work changed to boat production. 1916: A.V. 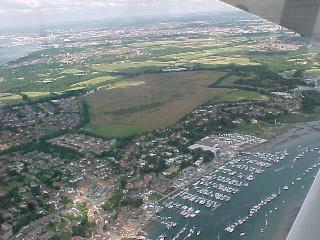 Roe purchased land for Hamble (South) Airfield and also built a factory at the south-eastern end of the site. Here Avro developed many different aircraft types over the next 15 years. A name that crops up at this stage is a certain Roy Chadwick who, along with the rest of his design team, later went on to develop the Avro Lancaster bomber. 1917: The Admiralty built No.1 (southern) Marine Acceptance Depot, intended to deal with seaplanes, but the war finished before the facility was used. It was demolished in 1919 and the site was later used by an oil company. 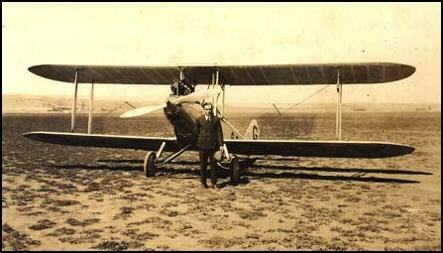 Production started on the Avro 504 which continued until 1919. 1919: Joining the workforce at A.V. Roe (at Southampton, later at Hamble) was Herbert John Louis Hinkler A.F.C., D.S.M. 'Bert' Hinkler was part of the design team that developed many aircraft at Hamble, the pioneer Australian aviator later went on to set many records including the first solo flight from England to Australia in 1928 in an Avro Avian. 1921-1926: Bert Hinkler became Chief Test Pilot for A.V. Roe at Hamble. 1924: Avro acquired land for the new north airfield at Hamble. This airfield became the main site for flying as aircraft size increased and the south airfield was eventually closed in 1933. 1925: Juan de la Cierva arrived to begin a 5 year association with Avro, developing his autogiros. 1926: The new (North) Airfield at Hamble was opened. This became home to several establishments: Avro, Fairey Aviation, Vickers/Supermarine, Simmonds aircraft and the Hampshire Aeroplane Club. 1927: The Hampshire Air Pageant was held on Sunday 15th May making use of both the North and South airfields. 1928: Simmonds Aircraft started assembling Simmonds Spartan aircraft in a rented hangar. The operation was moved to Somerton on the Isle of Wight in the early 1930's after the company suffered from financial difficulties. 1929: Avro sold their aviation interests at Hamble to J.D. Siddeley of Armstrong Whitworth Aircraft. 1931: The Armstrong Whitworth Aircraft Reserve School moved to Hamble and Air Service Training (AST) was formed by J.D.Siddeley to provide aviation training for both civil and military pilots. The school opened in April and aircraft there consisted of an Avro 504, de Havilland 9J's, Armstrong Whitworth Siskin and Atlas trainers, and Avro Tutors. 1932: Amy Johnson joined a flying course at AST. She is of course famous for making the first female solo flight from England to Australia in 1930 as well as flights to Tokyo and South Africa (among others). She died in a plane crash near London in 1941. It should be noted that Amy Johnson was not the first female student at Hamble, that honour fell to a Mrs. Bruce in October 1931. Mrs Bruce also set several flying records: Flying a Blackburn Bluebird she was the first woman to complete a solo circumnavigation of the world, the first to fly from England to Japan, and the first to fly the Yellow Sea. Hampshire Aeroplane Club left for Eastleigh. 1933: Air Service Training was joined with Number 3 Elementary and Reserve Flying Training School (E&RFTS). By this time AST's fleet had grown to 26 aircraft. Hamble (South) airfield was closed. 1934: Armstrong Whitworth took over the Avro works at Hamble South and started building the AW27 Ensign airliner. 1935: AST's fleet had by this time grown to 35 aircraft. 1936: British Marine Aircraft opened a factory (complete with slipway) at the northern end of Hamble South. The intention was licence production of the Sikorsky S42A flying boat. This was not proceeded with and on 24th December 1937 the company was renamed Folland Aircraft. Folland's later in the 1950's and 1960's built the Folland Gnat training jet here. The company later became part of Hawker Siddeley, and ultimately part of British Aerospace (BAe), now Smiths Aerospace. Although by the latter part of the last century there was no longer an airfield at Hamble, BAe continued to use the premises there for the production of major assemblies for Harrier and Hawk jets. 1937: AST started using the old Avro slipway for Flying Boat operations. Folland Aircraft Ltd. began aircraft assembly at Hamble making parts for Bristol Blenheim and Beaufort bombers. Folland later took on sub-contract work making parts for de Havilland Mosquito's and Vickers Wellington's. The Royal Air Force Reserve which had some aircraft at Hamble became Number 3 ERFTS. At this point AST had 37 aircraft and No. 3 ERFTS had 14. 1938: The Armstrong Whitworth Ensign, built at Hamble, first flew. Production ceased in 1941 after a run of just 14 aircraft. 1939: With the outbreak of war in September 1939 No. 3 E&RFTS became No. 3 EFTS for training military pilots. Single-engine aircraft became part of No. 3 EFTS and multi-engined aircraft types became part of Number 11 Air Observers Navigation School (AONS) and Number 1 Supplementary Wireless School. The first of many Spitfire's were repaired at AST. 1939-1945: The main activity during World War II was the repair and overhaul of Spitfires by AST (a total of 2575 over that period). Owing to Hamble's proximity to the Supermarine works at Eastleigh and Woolston parts were transported to Hamble for assembly and ferry flights. These ferry flights were carried out by No. 3 Air Transport Auxiliary (ATA), many of whom were women. During the War years other aircraft up to B-17 Flying Fortress size were handled. Other aircraft types repaired at Hamble included Handley Page Hampden's, Avro Lancaster's and York's, de Havilland Mosquito's and North American P-51 Mustang's. 1940: The Armstrong Whitworth Albemarle twin-engine bomber built at Hamble flew for the first time on 20th March. Hamble was attacked by a lone Luftwaffe Heinkel 111 on 12th July which dropped 4 bombs. The training schools promptly moved elsewhere and Hamble was confined to the assembly of aircraft only. Despite the schools moving elsewhere due to the above raid a detachment of Blackburn Skua's from H.M.S. Raven at Eastleigh remained. Hamble airfield was again attacked by the Luftwaffe on 23rd November. 1941: Hamble airfield was raided again by the Luftwaffe on 9th January. Anti-aircraft (AA) guns were installed around Hamble on 5th April. Some of the gun emplacements and a gun can still be seen adjacent to the car park at Hamble Point. A section of 780 Squadron, Fleet Air Arm (FAA) arrived on 5th November. 1942: The first of many Spitfire to Seafire (navalised version of the Spitfire) conversions made its first flight from Hamble on 23rd March. 780 Squadron FAA left Hamble on 30th August. The first B-17 (Boeing) Flying Fortress arrived for modification. 1943: A Junkers 88 strafed the airfield and hit a hangar on 9th February. A man working in a hangar received fatal injuries, the only person killed by enemy action at Hamble. The airfield AA gunners were withdrawn on the 13th October. 1945: No. 3 ATA left Hamble. The airfield was later full of Spitfire's to be scrapped. 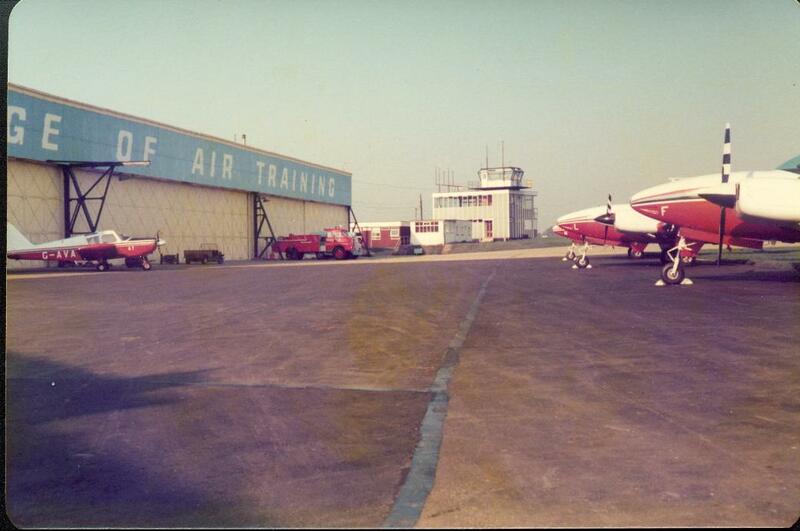 1946: AST restarted flight training operations offering courses to foreign as well as British students. The first post-war training flight took place on the 1st August. 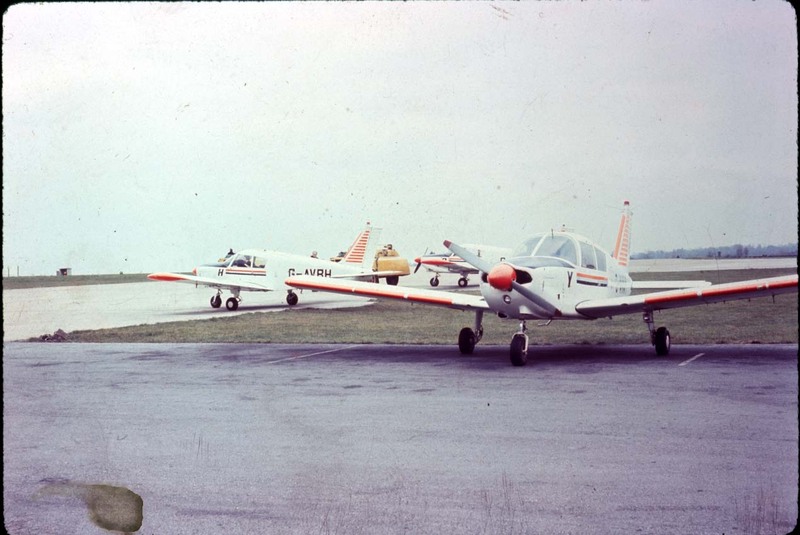 Southampton University Air Squadron (SUAS) arrived, using Chipmunks and later, (Scottish Aviation) Bulldogs. 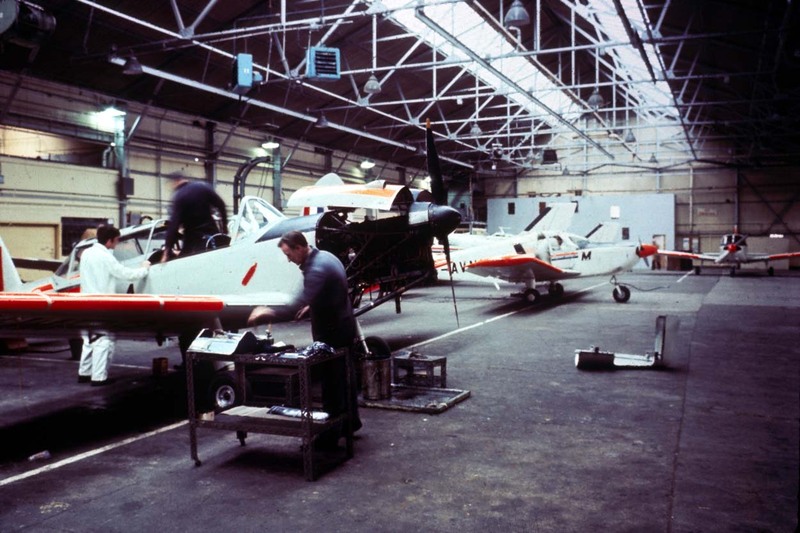 1947: AST started providing maintenance facilities for Aquila Airways Hythe and Solent flying boats. This continued until the demise of Aquila Airways in 1958. 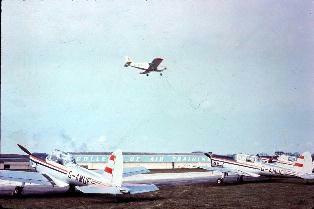 1950: AST's fleet then consisted of 26 aircraft. In addition, the Royal Navy had 5, the Royal Air Force Volunteer Reserve 14, and the SUAS had 22 aircraft based at Hamble. 1952: The first of 3 Douglas Dakota's (DC-3) arrived for use as training aircraft. 1958: No. 2 AEF arrived and stayed until 1978. 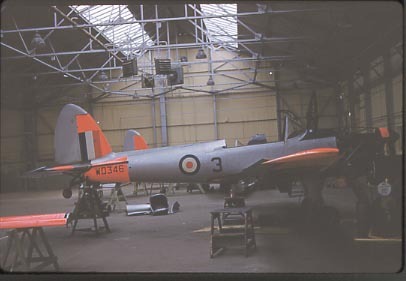 1959: Folland Aircraft Ltd., was absorbed into Hawker Siddeley (later British Aerospace), at the time they were making the jet powered Midge and Gnat trainers. A replica of the Gnat can still be seen outside the entrance to the British Aerospace works on the corner of Hamble Lane. Production at the old Avro works ceased and the factory units became part of the Petter organisation. 1960: AST closed its operation at Hamble and moved to Perth. The College of Air Training was formed and brought nearly 60 aircraft to Hamble for training purposes. 1979: Southampton University Air Squadron withdrew from Hamble and transferred to Hurn, Bournemouth. 1982: June: British Airways announced plans to withdraw funding from Hamble and the College of Air Training. The former college is taken over by 'Specialist Flight Training'. 1983: The Antique Aircraft Company was formed in May by Ron Souch. 1984: The Receiver was called in on 16th February and the College's aircraft and equipment were auctioned off. The land was later sold to a developer. 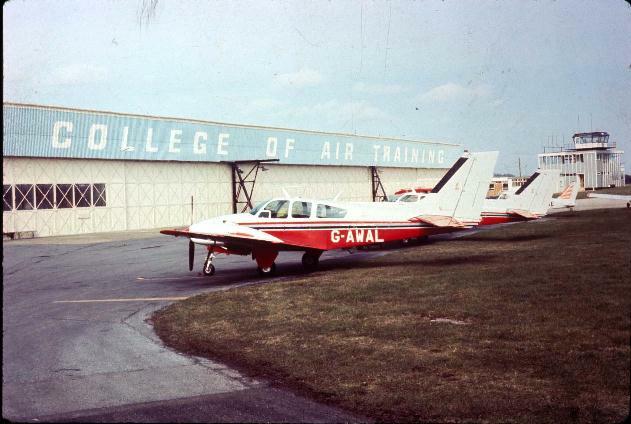 1985: After the closure of the College of Air Training, the only two users of note left at Hamble were Antique Aircraft, a vintage aircraft restoration company run by Ron Souch, and Carill Aviation who later moved to Eastleigh. In late 1985 these companies moved out and the airfield was effectively closed in December of that year. There were some very occasional light aircraft movements over the following few months into 1986. But nowadays, Hamble airfields (all of them) have joined an ever growing list of those that are no more. 1986: The last aircraft to fly out of Hamble, a Piper Cub, is piloted by Ron Souch on 6th April. This plane was built in some numbers at Hamble, production of ending in 1919. Training versions of the Avro 504 started being built in 1916 and overall production of the various types lasted 10 years. It was the Royal Flying Corps' first basic trainer. The Avro 504 was one of the most popular training aircraft of the WWI era and over the 10 year production run some 10,000 were built. It was initially used as a light bomber and ground attack aircraft before being used as a trainer and some 504's were still in use at the outbreak of WWII. This picture shows Bert Hinkler next to the Avro Avian (G-EBOV) which he flew on his record breaking flight from England to Australia in 1928. Photo: Courtesy of the Hinkler House Memorial Museum. The largest aircraft built at Hamble. Twelve of these were built at Hamble for Imperial Airways, some to be used on Empire mail routes, some for the European sector. The Ensign first flew on 24th January 1938. They were powered by four 850hp Armstrong Siddeley Tiger engines and could carry 40 passengers on shorter routes, 27 on the Empire routes. Cruising speed was about 170mph, range 800 miles. The planes were dogged by problems and were later fitted with Wright Cyclone engines during WWII. "Lusitania", used by the Portuguese Navy for a Trans-Atlantic flight from the Cape Verde Islands to the San Pedro Rocks (off the Brazilian coast) April 1922. The Fairey III series had a production run that covered several different versions which were used by the R.A.F., Fleet Air Arm, and other overseas air forces. It entered R.A.F. service in 1927 and was used as a light bomber and utility aircraft. Nº 3 ERFTS (Elementary and Reserve Flying Training School), April 1933 to September 1939. Became Nº 3 EFTS in September 1939, moved to Watchfield in July 1940. Equipped with: Armstrong Whitworth Atlas, de Havilland Tiger Moth, Hawker Audax, Hawker Hart, Hawker Hind, Fairey Battle, Miles Magister, Avro Anson, Percival Verga Gull. Nº 3(a) FPP (Ferry Pilots Pool), 15th February 1940 to November 1940. Nº 1 SFPP (Supplementary Ferry Pilots Pool), November 1940 to September 1941. Equipped with: Airspeed Envoy, Foster Wickner Warferry. Equipped with: Avro Anson, Foster Wickner Warferry, Fairchild Argus. 780 Squadron, detachment from Lee-On-Solent, November 1941 to June 1942. Equipped with: de Havilland Tiger Moth, Airspeed Oxford, North American Harvard, Avro Anson, de Havilland Chipmunk. Equipped with: de Havilland Chipmunk. Equipped with: de Havilland Tiger Moth, Airspeed Oxford, de Havilland Chipmunk, Scottish Aviation Bulldog. The above list was extracted from a list written by Tony Sedgwick. The list details the aircraft used by military units at Hamble and includes the serial numbers (registrations), type, unit, and period deployed at Hamble as well as remarks. I had toyed with the idea of reproducing in full the entire list but since it covers some 7 sides of A4 paper... If you would like a copy please let me know. As with every kind of vehicle there will be accidents - no method of transport is completely safe! In this respect Hamble has had its fair share of accidents and below is a list of mishaps at Hamble or Hamble's aircraft that have come to my attention. I am indebted to Dave Fagan and Tony Sedgewick who provided me with much of the information for this section. 30/04/19 Avro 534 - Crashed on 1st flight. 29/08/19 Avro 539a G-EALG Damaged in accident. 13/01/20 Avro 534 G-EACQ Damaged in accident, rebuilt as G-AUCQ. 25/05/21 Bristol Fighter G-EAWZ Damaged in accident. 15/07/21 Avro 534b G-EAXM Written off after accident. 19/06/26 Cierva C6C J8068 Crashed. 26/03/30 Spartan G-AAME Damaged in accident. 27/03/30 Spartan G-AAFR Written off after accident. 08/06/31 A.W. Siskin III G-ABHT Crashed, Sarisbury Green, Hampshire. 17/04/32 Avro Cadet I G-ACCM Crashed, Purfleet, Essex. 18/07/32 Avro Avian IVM G-ABKA Caught fire at Heston. 04/06/34 Avro Cadet I G-ACRY Crashed into The Solent. 21/07/34 D.H. 53 G-EBQP Crashed. 12/08/34 D.H. 84 Dragon G-ACJM Crashed landing Hamble.
? ?/10/34 AIRCO DH9J G-AARS Crashed near Hamble. 10/09/34 Avro Cadet I G-ACUH Crashed, Southampton. 06/02/36 Avro Cadet II G-ADTM Crashed, West End, Southampton. 25/08/37 Hawker Hart K6532 Collided with Swordfish (L2740) at Gosport.
? ?/12/37 Short Calcutta G-ABVH Damaged beyond repair during a gale. 24/01/38 Miles Magister L8901 Crashed, Calshot. 25/01/38 Miles Magister L6895 Crashed, Hamble. 16/03/38 Hawker Hart K4415 Collided with Avro Cadet G-ACCN (on the ground?). 16/03/38 Miles Magister L6906 Crashed, Southampton Water. 07/05/38 Miles Magister L5972 Crashed, Hamble. 13/06/38 Miles Magister L6894 Crashed, Bursledon. 02/08/38 Hawker Audax K7413 Crashed, Lymington. 07/12/38 Avro Cadet II G-ADTZ Crashed, Ansty. 24/01/39 Hawker Hind K5526 Crashed, Hamble. 15/06/39 Hawker Audax K7406 Wrecked during taxiing accident at Hamble. 08/08/39 Avro Cadet II G-ADTO Crashed, Leicester. 17/12/39 Avro Cadet G-ADTU Damaged in accident. 28/03/40 Avro Cadet G-ADTG Damaged in ground accident.
? ?/04/40 Avro Cadet G-ADTK Damaged in accident. 08/06/40 Avro Cadet G-AEIR Crashed, Southampton Water. 10/07/40 Avro Cadet G-ACNE Written off after ground collision with Blackburn Shark. 10/08/40 Spitfire Mk.I R6979 Damaged in landing accident. 16/09/40 Spitfire Mk.I R6922 Damaged in landing accident. 28/12/40 Handley Page Hampden ?? Crashed after take-off. 12/12/42 Fairchild Argus EV774 Crashed, Hamble. 08/02/44 D.H. 82A Tiger Moth DE929 Overturned on takeoff. 08/09/44 Spitfire Mk.IX NH491 Damaged in landing accident. 22/12/44 Avro Anson I N9573 Crashed. 26/11/47 D.H. 82A Tiger Moth G-AHVZ Crashed, Hamble. 06/01/49 Avro Anson I MG564 Crashed, near Hamble. 23/01/49 D.H. 82A Tiger Moth T7465 Crashed, Yarmouth, Isle of Wight. 26/03/50 D.H. 82A Tiger Moth T6173 Crashed, South End. 19/04/51 Avro Anson T21 VV899 Crashed, into sea near Brixham. 12/03/52 Avro Anson T21 VV910 Crashed, Fawley. 22/03/53 D.H. Chipmunk 21 G-AMUD Crashed, Porchfield, Isle of Wight. 28/11/54 D.H. Vampire FB5 VZ177 Collided with WE836 and pilot thrown out of aircraft near Hamble. 03/10/55 Hiller U12B G-AOFK Crashed, Hamble. 22/10/56 D.H. Chipmunk 21 G-AMUE Crashed, Middle Wallop. 11/10/58 D.H. Chipmunk T10 WG353 Damaged beyond repair during landing at Hamble. 12/07/60 D.H. Chipmunk T10 WP895 Damaged beyond repair during landing accident. 29/03/66 D.H. Chipmunk 22 G-ARME Crashed at Sandown, Isle of Wight. 07/12/66 D.H. Chipmunk T10 WZ864 Collided with G-ATEA, crashed near Hamble. 07/12/66 D.H. Chipmunk 22 G-ATEA (Was WG464) Collided with WZ864, crashed near Hamble. 10/01/67 Piper Apache 160 G-ASDH Crashed at Netley Hospital. 27/02/70 Piper Cherokee G-AVBD Destroyed in mid-air collision, Bursledon. Pilot killed. 27/02/70 Piper Cherokee G-AVBI Destroyed in mid-air collision, Bursledon. Pilot killed. ??/? 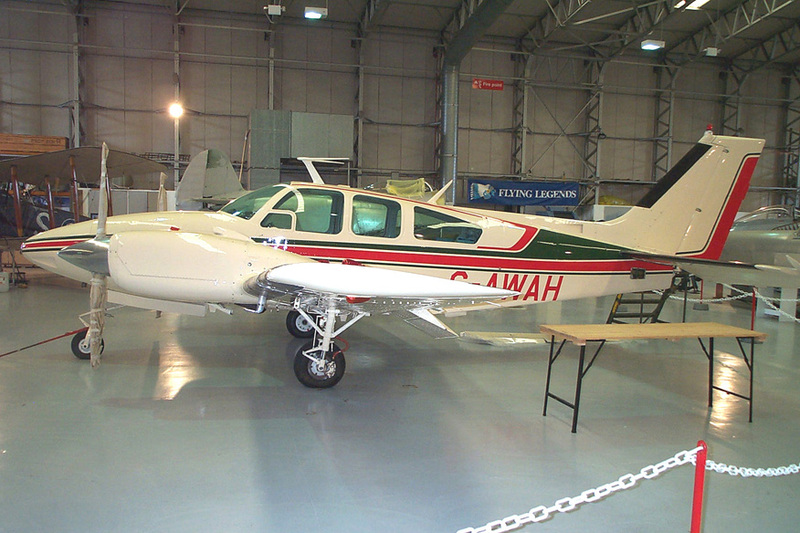 ?/71 Piper Cherokee G-AVNS Damaged during mid-air collision, IoW, Crew unhurt. ??/? ?/71 Piper Cherokee ?-???? Damaged during mid-air collision, IoW, Crew unhurt. 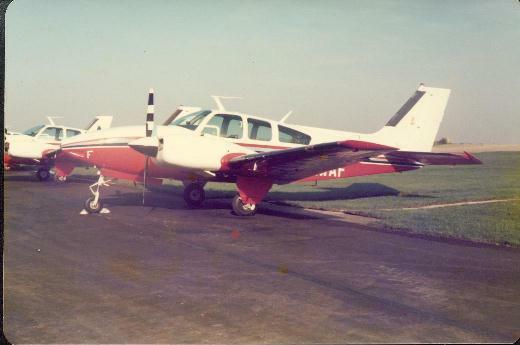 09/12/71 Beechcraft Baron G-AWAG Damaged in landing accident, Hurn, Crew unhurt, rebuilt. ??/??/?? Beechcraft Baron G-AWAF Damaged in landing accident, rebuilt. ??/??/?? 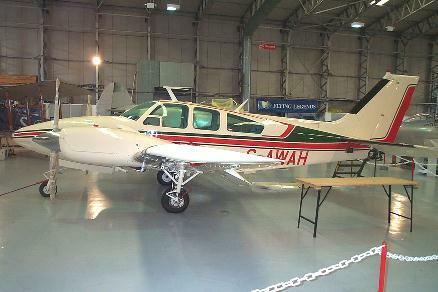 Beechcraft Baron G-AWAO Damaged in landing accident, rebuilt. 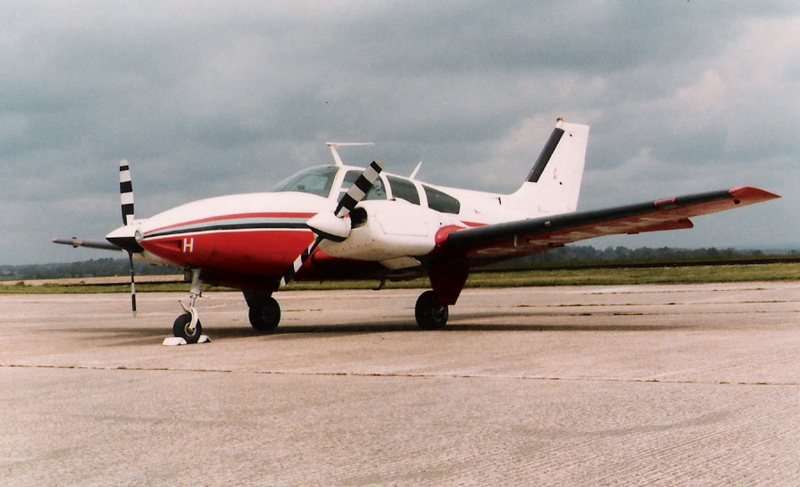 30/04/81 Piper Cherokee G-AVBJ Destroyed in mid-air collision, Warsash. Pilot killed. 30/04/81 Piper Cherokee G-AXZC Destroyed in mid-air collision, Warsash. Pilot killed. 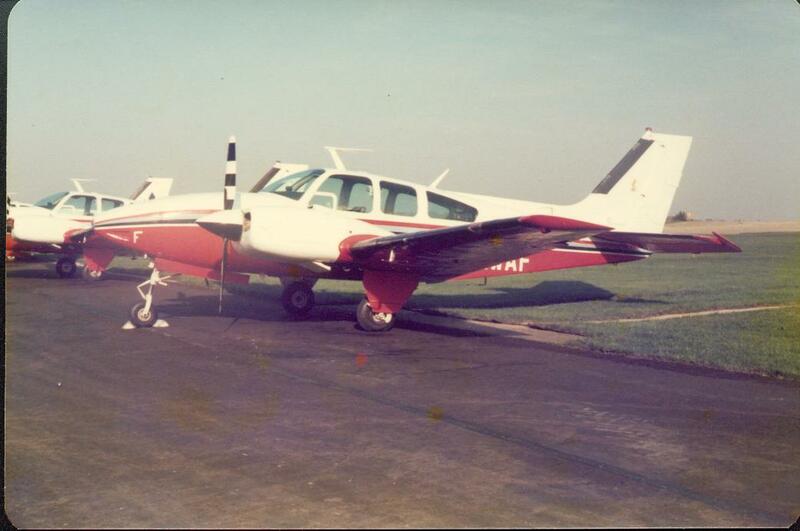 24/02/84 Beechcraft Baron G-AWAE Damaged in landing accident, rebuilt. The above list details some of the incidents that I'm aware of but there are doubtless others that elude this list. During the time that I was actually working at the College there were a few incidents involving Hamble and its aircraft. One of the above listed accidents involving Beechcraft Baron's was where the nose wheel undercarriage collapsed on landing. On at least 2 occasions Baron's landed at Hamble - with the undercarriage retracted! On another occasion a Cherokee was damaged on the ground when it struck a tree and pinioned around into a perimeter fence. Fortunately, the incidents cited in this paragraph involved little or no injury. The College was formed in 1960 to meet a growing need for civilian pilots prompted by the explosion of jet travel. 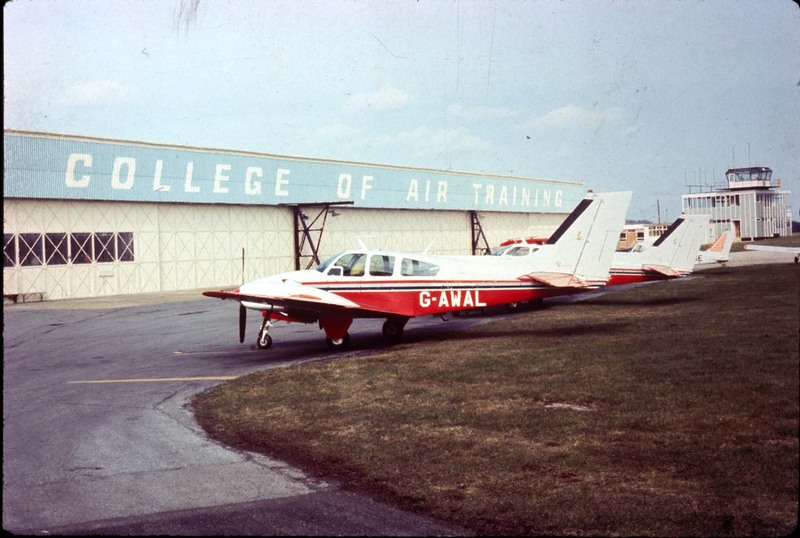 Although my knowledge of the College at this time is scant, AST (who were already at Hamble) provided training for civil and military pilots. The then flag carriers for the United Kingdom, British European Airways (BEA) and the British Overseas Airways Corporation (BOAC) needed their own school to train pilots and the College of Air Training was formed as a result when AST moved out of Hamble and established a flying school in Perth, Scotland. When BEA and BOAC later merged to form British Airways (BA) that trend continued. Up to that time the College was funded by BA but when privatisation loomed in the early 80's the future of the College suddenly seemed uncertain. British Airways had hoped to keep the College going, after all, it would continue to need pilots, and indeed it was forecast at the time that there would be a pilot shortage in just a few years. But aside from the drive to privatisation, and a then downturn in the need for aircrew, the College was deemed to be surplus to requirements. The inevitable cuts ensued and I was one of the victims of that movement toward private ownership. Another training school was set up but this folded under financial pressure and when funding ran out sometime in 1984 the College closed for good although the airfield remained in use. Having been made redundant in the first staff cuts in 1982 I all but lost contact with the College itself and those I worked with. During the time that I worked at Hamble my main tasks were the maintenance and repair of instrument and electrical systems although at various stages I did a little of every trade possible. On the whole, the College was very self contained. All its aircraft were maintained and repaired by its own staff (of whom I was one) and all the planes could be accommodated overnight in the two hangars. The airfield had its own fire crew, marshallers, control tower, and maintenance staff among many other ancilliary workers. The school itself covered a large area and included simulator rooms, a library, meteorology, engines, airframes and navigation class rooms. Students were housed in several accommodation blocks - in short, a village within the village of Hamble. The airfield itself was a large grassed area and could offer over 3000 feet of runway in the roughly North/South directions and a little under 3000 feet in most other directions apart from East/West. The whole grassed area was available for aircraft movements and concrete aprons offered hard standings for all the aircraft in use. An unusual aspect of the apron was that a link taxiway crossed the railway line (you can see this on the map) and must have made Hamble's aircraft movements peculiar in that planes had to be on the lookout for trains! Being a grass strip there were few permanent features but one temporary feature of the airfield is worth describing here. Flying operations frequently carried on into the late evening so a form of portable airfield lighting was needed. The runway itself was marked by two rows of flares which consisted of a few dozen long-spouted metal watering cans. The can was filled with paraffin and the spout had a wick which when lit would burn for about 6-8 hours. Thus Hamble really did have a flare path! And most effective it was too - on several occasion I went on flights to and from Hamble and the flares could be seen from several miles away, as effective as some airfield electric lighting. The extents of the runway were marked with red lights (far end) and green lights (landing/take-off end) which could only be seen from one direction thus ensuring that the take-off/landing direction in use couldn't be too easily confused. At the landing threshold end of the runway a set of 4 portable Visual Approach Slope Indicator (VASI) lights were placed either side of the runway, two each side. This provided pilots with a visual landing aid. Basically: All reds = too low; All whites = too high; white and red both sides = correct landing approach glideslope. Finally, the allotted taxiway was marked with small red and white lights. All of these lighting fixtures were portable and had to be put out before the start of night flying. One of my jobs at Hamble was charging and maintaining the batteries that powered these lights. The College used three types of aircraft for its training during the time that I worked there. All were piston-engined and could cater for a variety of training needs - from basic flying, right the way up to multi-engined flight under Instrument Flying Rules. Early in the College's history Piper Apache aircraft were used but these were replaced by the Beechcraft Baron's in the late 60's. 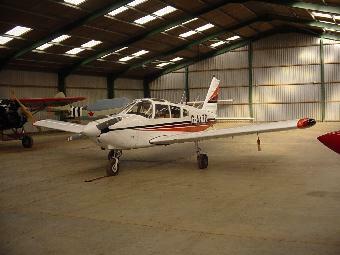 Aircraft Specification: Piper Apache PA-23 160. Seats: 6; 2 front, 2 middle, 2 rear. Engine: Two 250 hp Lycoming IO-520, air cooled. G-ARJR, G-ARJS, G-ARJT, G-ARJU, G-ARJV, G-ARJW, G-ARJX, G-ASDG, G-ASDH, G-ASDI, G-ATOA. G-ARJR came to Hamble April 1961, sold 1968. G-ARJS came to Hamble April 1961, sold 1968. G-ARJT came to Hamble April 1961, sold 1968. G-ARJU came to Hamble April 1961, sold 1968. G-ARJV came to Hamble April 1961, sold 1968. G-ARJW came to Hamble April 1961, sold 1968. G-ARJX came to Hamble April 1961, sold 1968. G-ASDG came to Hamble January 1963, sold June 1969. G-ASDH came to Hamble January 1963, crashed near Netley Hospital 10th January 1967. G-ASDI came to Hamble January 1963, sold June 1969. G-ATOA came to Hamble March 1966, sold August 1968. 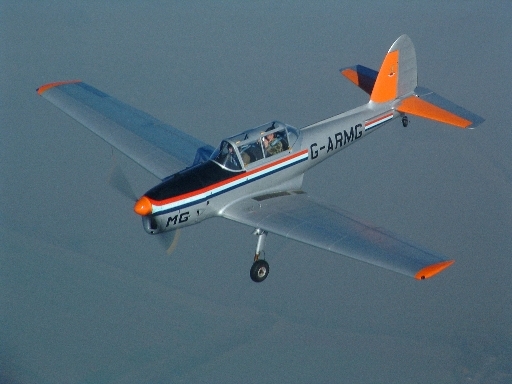 The simplest plane used by the College of Air Training whilst I worked there was the de Havilland Chipmunk. This was a two-seat (tandem) low wing monoplane, fully aerobatic. It was powered by a Gypsy Major series 4-cylinder in-line inverted engine rated at about 140hp. The Chipmunk was quite an old plane and most of the flying surfaces were fabric covered. It had fixed undercarriage and was in most respects a very basic aircraft. It was however a very robust plane and its ruggedness and simplicity meant that despite a design rooted in the 1940's many examples of this plane are still in use today. The College's Chipmunks had a distinctive colour scheme of silver with a thin blue/red/white stripe along the fuselage. The wings, tail and tips bore fluorescent orange stripes. Seats: 2, one in front of the other. Engine: 4-cyl 140hp Gypsy Major series, air cooled. G-ATDE, G-ATDF, G-ATDP, G-ATDX, G-ATDY, G-ATEA, G-ATEB, G-ATHC, G-ATHD, G-ATJI, G-ATJJ, G-ATJK. G-AMUC - DH Chipmunk 21 came to Hamble October 1952, sold 1967. G-AMUF - DH Chipmunk 21 came to Hamble November 1952, sold 1967. G-AMUG - DH Chipmunk 21 came to Hamble November 1952, sold 1967. G-AMUH - DH Chipmunk 21 came to Hamble November 1952, sold 1967. G-AOUO WB730 DH Chipmunk 22 came to Hamble October 1956, sold 1967. G-AOUP WB731 DH Chipmunk 22 came to Hamble October 1956, sold 1967. G-AOZJ WD319 DH Chipmunk 22 came to Hamble October 1957, sold 1967. G-AOJY WB631 DH Chipmunk 22 came to Hamble December 1957, sold 1967. G-AOZV WD290 DH Chipmunk 22 came to Hamble December 1957, sold 1967. G-ARMB WB660 DH Chipmunk 22 came to Hamble September 1961, sold 1984. G-ARMC WB703 DH Chipmunk 22 came to Hamble September 1961, sold ? 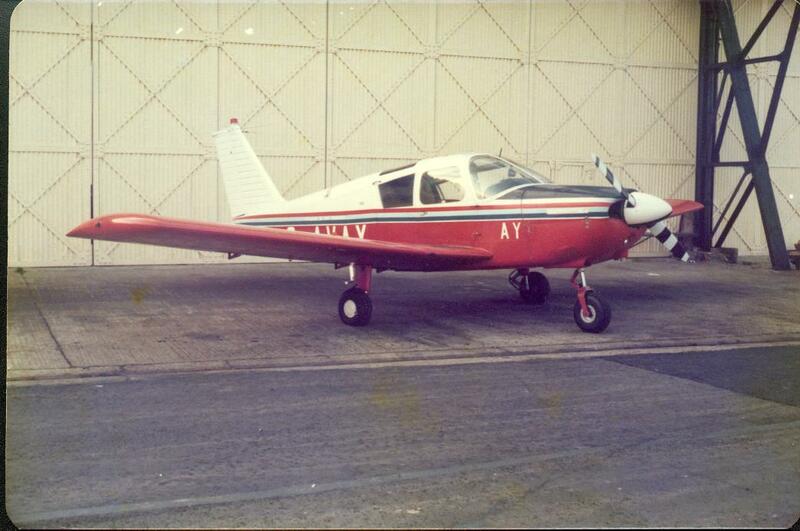 G-ARMD WB297 DH Chipmunk 22 came to Hamble September 1961, sold 1984? G-ARME WD381 DH Chipmunk 22 came to Hamble September 1961, crashed Sandown, Isle of Wight 29/03/66. 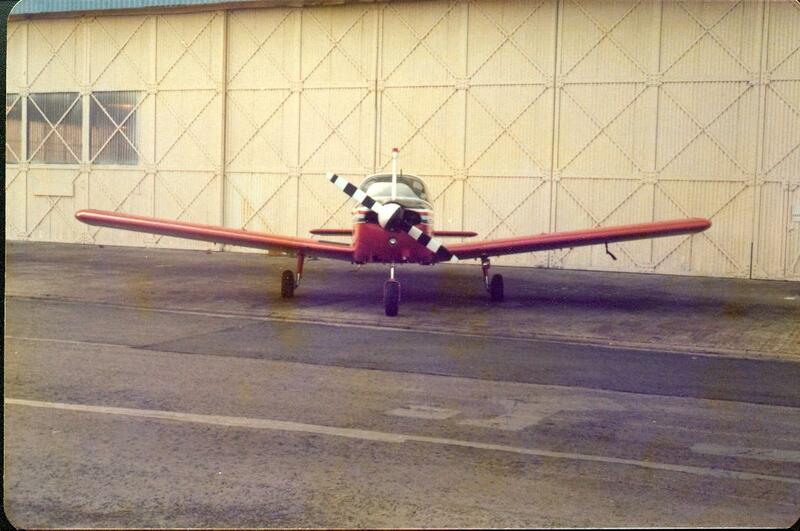 G-ARMF WD322 DH Chipmunk 22 came to Hamble September 1961, sold 1984? G-ARMG WK558 DH Chipmunk 22 came to Hamble September 1961, sold May 1984. G-ATDE WB733 DH Chipmunk 22 came to Hamble June 1965, stored, returned to RAF December 1967. G-ATDF WP850 DH Chipmunk 22 came to Hamble June 1965, stored, returned to RAF December 1967. G-ATDP WG477 DH Chipmunk 22 came to Hamble June 1965, stored, returned to RAF December 1967. G-ATDX WG463 DH Chipmunk 22 came to Hamble June 1965, stored, returned to RAF December 1967. G-ATDY WG418 DH Chipmunk 22 came to Hamble June 1965, stored, returned to RAF December 1967. G-ATEA WG464 DH Chipmunk 22 came to Hamble August 1965, stored, returned to RAF December 1967. G-ATEB WZ866 DH Chipmunk 22 came to Hamble August 1965, stored, returned to RAF December 1967. G-ATHC WP969 DH Chipmunk 22 came to Hamble August 1965, stored, returned to RAF December 1967. G-ATHD WP971 DH Chipmunk 22 came to Hamble August 1965, stored, returned to RAF December 1967. G-ATJI WP863 DH Chipmunk 22 came to Hamble August 1965, stored, returned to RAF December 1967. G-ATJJ WP921 DH Chipmunk 22 came to Hamble August 1965, stored, returned to RAF December 1967. G-ATJK WP927 DH Chipmunk 22 came to Hamble August 1965, stored, returned to RAF December 1967. Only two of these were kept in flying condition during the time that I was at the College, the others were stored for spares. The registrations of those that were at Hamble while I was there were: G-ARMB, G-ARMD, G-ARMF, G-ARMG. At left is one of the College's Chipmunks, 'G-ARMG', formerly 'WK558', previous user unknown. This aircraft first came to Hamble in September 1961 and was subsequently sold by the College in May 1984. Note the 'trolley' in front of the plane, within the trolley was a bank of batteries to help get the engine started. At left is de Havilland Chipmunk T10 'WD346' as used by Southampton University Air Squadron. It first came to Hamble in January 1951 and was sold in March 1975. 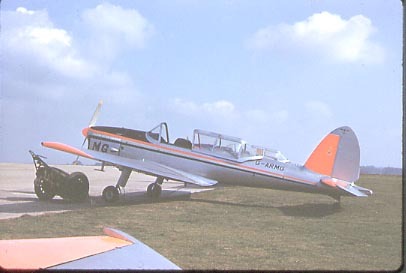 Another Chipmunk that was at Hamble, 'WP800', from 1953 until March 1975. It too was used by Southampton University Air Squadron. 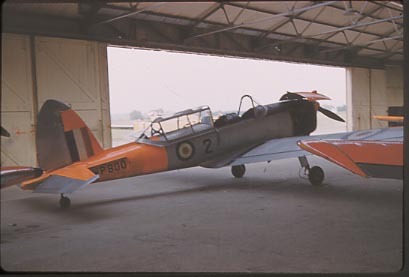 Yet another picture of a Chipmunk at Hamble, this time undergoing maintenance in the main hangar, plane registration unknown. 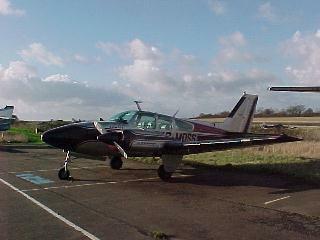 Also visible is Piper Cherokee 'G-AVNM'. 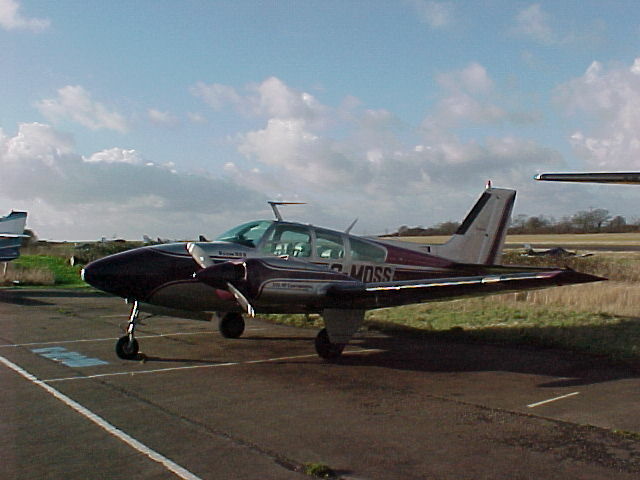 The main basic trainer aircraft used was the Piper Cherokee. This was powered by a single Lycoming O-360, flat 4-cylinder engine that was rated at about 150hp. The plane was a four-seater and was somewhat more luxurious in its layout than the Chipmunk. Seats: 4, 2 front, 2 back. Engine: Lycoming 0-360 150 hp flat-4 cylinder, air cooled. G-AYAA, G-AYAB, G-AYAP, G-AYAR, G-AYAS, G-AYAT, G-AYAU, G-AYAV, G-AYAW, G-AYBK, G-AYBT, G-AYEE, G-AYEF. G-AVAX came to Hamble February 1967, sold May 1984. G-AVAY came to Hamble February 1967, sold July 1984, went to the United States. G-AVAZ came to Hamble February 1967, sold 1983. G-AVBA came to Hamble February 1967, sold ? G-AVBB came to Hamble March 1967, sold July 1984, went to United States, re-registered as N54590. G-AVBC came to Hamble March 1967, sold July 1984, went to United States. G-AVBD came to Hamble March 1967, destroyed in mid-air collision with G-AVBI over Bursledon 27/02/70. G-AVBE came to Hamble March 1967, sold July 1984, went to United States. G-AVBG came to Hamble March 1967, sold May 1983. G-AVBJ came to Hamble March 1967, destroyed in mid-air collision with G-AXZC over Warsash, 30/04/81. 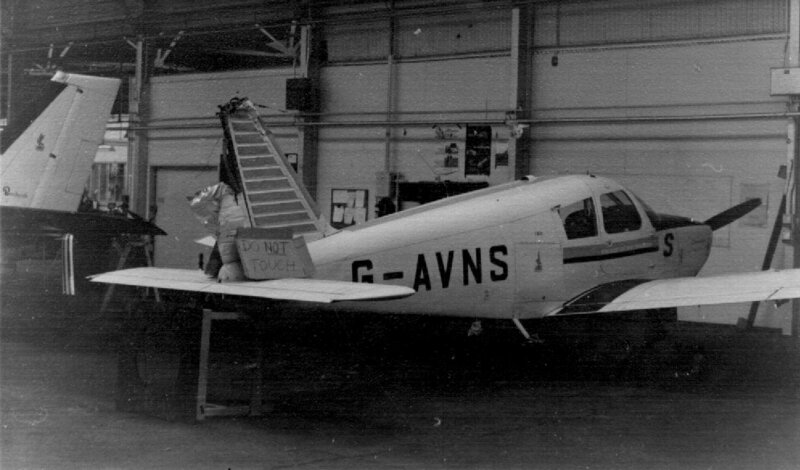 G-AVNM came to Hamble July 1967, sold 1983. G-AVNN came to Hamble August 1967, sold May 1984. G-AVNO came to Hamble August 1967, sold 1984. G-AVNP came to Hamble August 1967, sold 1983. G-AVNR came to Hamble August 1967, sold May 1984. G-AVNS came to Hamble August 1967, sold May 1984. G-AVNT came to Hamble August 1967, sold July 1984. G-AVNU came to Hamble August 1967, sold 1982. G-AVNV came to Hamble August 1967, sold July 1984. G-AVNW came to Hamble August 1967, sold 1984. 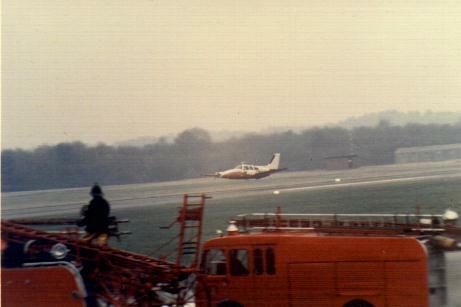 G-AXZC came to Hamble March 1970, destroyed in mid-air collision with G-AVBJ over Warsash 30/04/81. G-AXZD came to Hamble March 1970, sold May 1984. Currently based in Hertfordshire. G-AXZE came to Hamble March 1970, sold July 1984. G-AXZF came to Hamble March 1970, sold January 1983, went to Carill Aviation, Southampton. G-AYAA came to Hamble March 1970, sold January 1983. G-AYAB came to Hamble March 1970, sold January 1983. G-AYAP came to Hamble May 1970, sold January 1983. G-AYAR came to Hamble May 1970, sold June 1984. G-AYAS came to Hamble May 1970, sold May 1984. 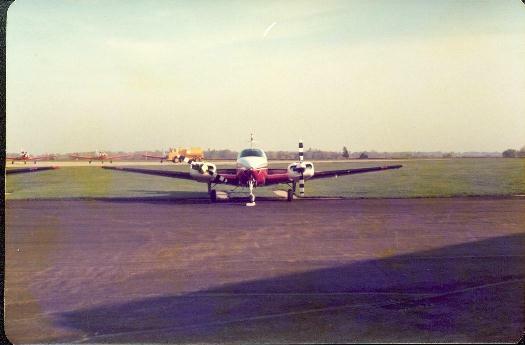 G-AYAT came to Hamble May 1970, sold November 1983. Currently based in Norfolk. G-AYAU came to Hamble June 1970, sold November 1983. Re-registered as G-ONET. G-AYAV came to Hamble June 1970, sold May 1984. G-AYAW came to Hamble June 1970, sold May 1984. Currently based at White Waltham. G-AYBK came to Hamble June 1970, sold July 1984. G-AYBT came to Hamble July 1970, sold July 1984. G-AYEE came to Hamble July 1970, sold May 1984. G-AYEF came to Hamble July 1970, sold May 1983. The largest aircraft type used by the College of Air Training, of which there were 12, was the Beechcraft Baron, model D55. (The Beechcraft Baron replaced the Piper Apache used by the College during the early 60's.) The Baron was a 6-seater aircraft (up to 2 pilots and 4 passengers) powered by two Teledyne Continental IO-520 flat 6-cylinder, fuel injected engines rated at 285hp. The maximum speed of the plane was about 240mph with a range of about 1500 miles. It had retractable undercarriage and an unpressurised cabin. Engines: 2 x Teledyne Continental IO-520, flat-6-cylinder, air cooled, fuel injected. G-AWAD, G-AWAE, G-AWAF, G-AWAG, G-AWAH, G-AWAI, G-AWAJ, G-AWAK, G-AWAL, G-AWAM, G-AWAN, G-AWAO. G-AWAD came to Hamble March 1968, sold December 1983. 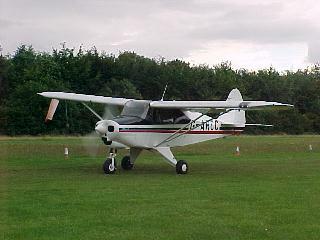 Re-registered as G-MOSS based in Jersey. Was later based at Elstree. Now in Portugal. G-AWAE came to Hamble March 1968, sold May 1984. Re-registered at 9J-MJS, Zambia. G-AWAF came to Hamble March 1968, sold July 1984. G-AWAG came to Hamble March 1968, sold June 1984. G-AWAH came to Hamble March 1968, sold ? G-AWAI came to Hamble March 1968, sold August 1982. G-AWAJ came to Hamble March 1968, sold June 1984. G-AWAK came to Hamble March 1968, sold June 1984. G-AWAL came to Hamble March 1968, sold July 1984. 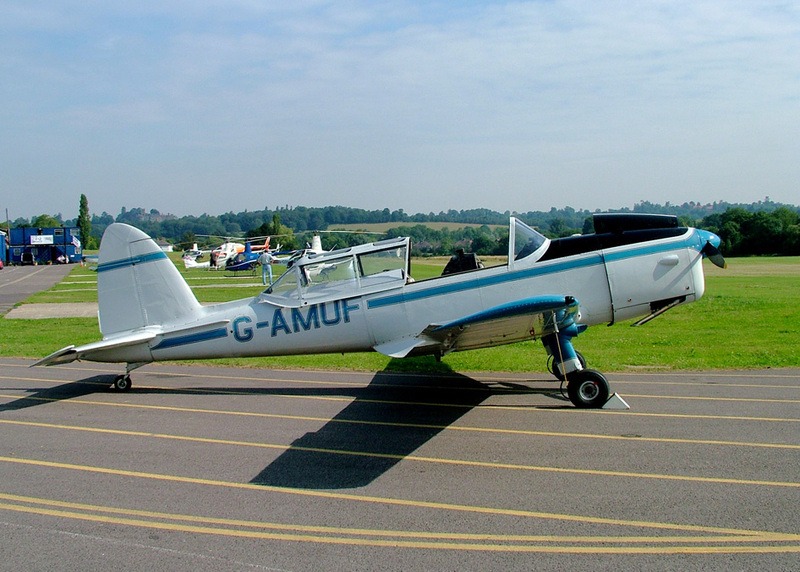 G-AWAM came to Hamble March 1968, sold July 1984. G-AWAN came to Hamble March 1968, sold July 1984. G-AWAO came to Hamble March 1968, sold May 1984. 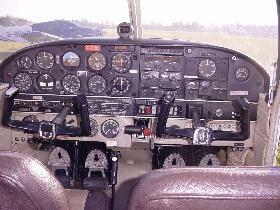 The plane was equipped with a comprehensive avionics suite and was thus able to fly under Instrument Flying Rules (IFR). It made routine training flights all over England and occasional trips to the Channel Islands and Dinard in France. It was a quick plane and I always remember it for its distinctive engine sound and the fuel consumption: At take-off power it was not unusual to see the fuel-flow gauges register up to 24 gallons per hour - per engine! Fortunately this would drop to about 10 to 15 during the cruise phase of flight. I did hear that some of these were eventually dismantled after the planes were auctioned off in 1984 and shipped to the United States for reassembly and reused. Perhaps someone can confirm that? A list detailing the aircraft used by the College, including those taken over from Air Service Training in June 1960 was kindly given to me by Tony Sedgwick. The list includes: date to Hamble, registration, previous identity, type, and remarks. Again, like the military residents list I had toyed with the idea of reproducing the entire list on this page but since it covers 3 sides of A4 paper... If you would like a copy please let me know. All in all a very enjoyable and nostalgic flight. I was quite gratified that over 30 years on I was still able to pick out the airfield about 10 miles out approaching from the north. Many landmarks stood out as visual references almost forgotten over time but suddenly being recalled to guide the way. 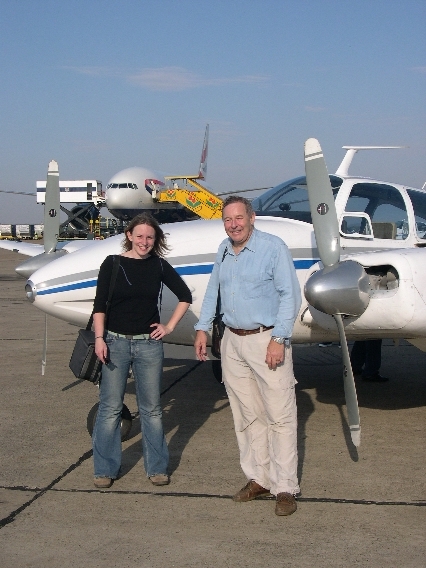 I have often said that you've never really flown until you've flown in a light aircraft. Time and again a light aircraft has provided me with an unforgettable thrill and the flight over Hamble was no exception. Much as I enjoyed that day out I have to say that it was tinged with sadness. Mike Vernon, the pilot, said that he'd flown over that area many times and would never have known that there was a historic airfield at Hamble. Indeed, it was only my knowledge of the area that provided clues as to where it was. As you can see from the above photos there is virtually no sign that Hamble Aerodrome ever existed. I'm not sure what to feel about flying over the ghost of 'EGHM' - it was both exciting and a letdown. The march of progress is unrelenting and things do change, sometimes for the better, sometimes not. What do you think? I am still amazed at the amount of interest this page seems to have generated. Since posting this page on the internet I have been contacted by many people who worked or learned to fly at Hamble as well as receiving mail from all over the world. To visit the site of the former airfield one would hardly guess what was there not so very long ago. This page will hopefully keep those memories alive for people who have a connection to Hamble's aviation history. Firstly, my thanks to Dave Fagan who generously allowed me to use text and pictures from his expansive website about Aviation in Hampshire. Some of the chronological history written on this page comes courtesy of him as do the three black and white photo's further up on this page. Also, he has an extensive list of aircraft accidents that have taken place in Hampshire, some of which appear further up on this page. Thanks also go to Tony Sedgwick who kindly allowed me to use text from his webpage about Hamble's Airfields. Some of the chronological history written on this page comes courtesy of him. That page is part of Hamble Local History Society's website. Tony also provided me with copious references to other aircraft based at Hamble. More thanks go to Don Eaves of Solent Aviation Society who gave me several useful pointers in my search for information. Don has also subsequently dug up some further information about aircraft that had connections with Hamble as well as providing me with some pictures of College of Air Training aircraft. Some of these pictures appear further up this page. 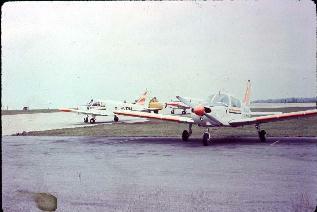 I am also indebted to Rod Brown for supplying several pictures of de Havilland Chipmunks used at Hamble. His extensive website detailing the history and many other things concerning this famous training aircraft can be seen by using the following link. It is appropriately entitled 'Chipmunk Flyer'! Thanks also to: Dave Summers, John Russell, Derek Squires, Stephen Leniston, Phil Nelson, and John Richards, for providing some photos. Hamble-Le-Rice Parish Council were very helpful in directing me to sources of information. Their office in Memorial Hall, High Street, Hamble-Le-Rice has an excellent archive of pictures relating to Hamble aviation and the village itself. 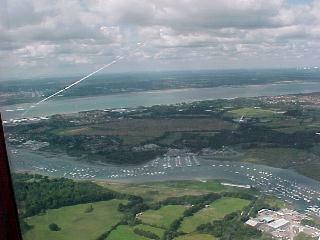 Another round of thanks to John Grover and Mike Vernon from Popham Flying Group for arranging and flying me over Hamble in August 2005. The photograph of the Avro Avian (and Bert Hinkler) flown by him on his record breaking flight from England to Australia was kindly supplied by the Hinkler House Memorial Museum, Bundaberg, Australia. For those of you interested in reading more about aviation in Hampshire a book I thought worth buying was "Hampshire Airfields in the Second World War" by Robin Brooks (ISBN 1 85306 414 9) published by Countryside Books. There is a short section about Hamble within. If you like quality photos of aircraft a website you might like to visit is Asian Aviation Photography run by David Riley. This site features exceptionally high quality portrait prints for sale of a wide variety of aircraft. Despite the name, Asian Aviation Photography offers pictures of aircraft from all over the world. A list detailing the aircraft used by AST (Air Service Training) was kindly given to me by Tony Sedgwick. The list includes: date to Hamble, registration, previous identity, type, and remarks. Like the lists of military aircraft, and College of Air Training aircraft, I had thought posting the entire list on this page but it covers 3 sides of A4 paper... If you would like a copy please let me know. Another list of aircraft, this time detailing aircraft resident at Hamble after British Airways sold out in August 1982 was given to me, again by Tony Sedgwick. The list includes: date to Hamble, registration, type, owner, and remarks. It covers 3 sides of A4 paper... If you would like a copy please let me know. And that's it really. Thank you, all of you. I don't imagine for a second that this is a complete history, nor was it intended to be. If, however, anyone reading this page happens to know of any additional bits and pieces worth adding, or should you see any errors please do let me know, I'll be happy to add/correct them.